RB Leipzig assistant coach Jesse Marsch has come up with an innovative way of ensuring the club's players adhere to the first-team rules and regulations: by introducing a wheel of punishment in the changing room. 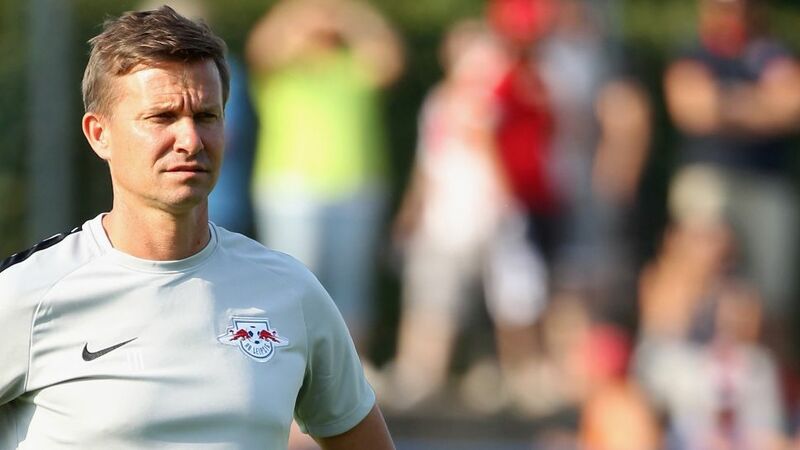 The 44-year-old American, who joined head coach Ralf Rangnick's staff over the summer, suggested the idea as a way of promoting discipline, while at the same time encouraging team spirit and preventing cliques from forming. "There's a spinning wheel in the changing room," Rangnick told Bild. "There are different segments on there with different punishments. Monetary fines only rarely do anything. It hurts the players more when they have less free time, for example." Ball assistant: Pump up the balls, take them out to the training pitch and clean them (30 minutes per training session).Assistant academy coach: On a free day, players must coach one of the academy teams for four hours.Stadium tour guide: Give a one hour tour to visitors and show them around the changing room etc.Lucky: No punishment.Greenkeeper: Mow the grass on the training pitch and fill in any divots: four to six hours in one training week.Princess: Considered the worst of all. The players must wear a pink shirt or ballerina tutu for an entire training session (90 minutes).Waterboy: Mix electrolyte drinks and fill water bottles ahead of training (20 minutes per session for an entire week).Fanshop: Work at the cash register in the club shop for three hours.Kitchen duty: Prepare salads and clean tables in the team cafeteria (30 minutes per day).Kitman: Take care of dirty kits and help with cleaning boots (30 minutes per day).Pack the team bus: Load drinks crates, equipment and bags onto the team bus ahead of away matches (approximately 1.5 hours).Presents for staff: Purchase small gifts (key chain, pens, pralines etc) for all of Leipzig's 60 employees. While none of the players are yet to fall foul of the rules, Rangnick himself has. "I accidentally put my phone on the table in the dining room," the 60-year-old said at a press conference on Thursday ahead of his side's Matchday 3 encounter with Hannover 96 on Saturday. The players were quick to spot the transgression and enforced the rules on their boss, who must now prepare the drinks for training for a week.